Farewell, little girl. A poem. 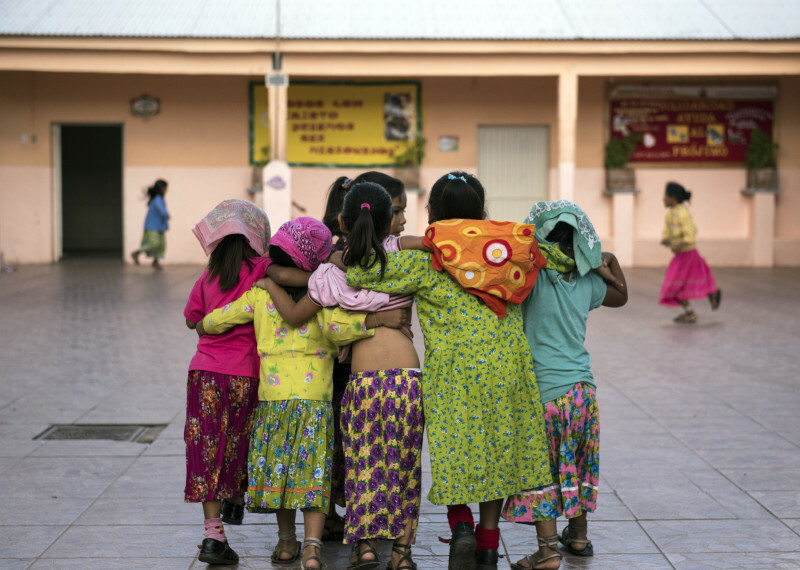 Indigenous Raramuri girls, at a boarding school Cerocahui, close to the Urique Canyon. I was so hestitant to visit, perferring to give a donation instead. When Christina my guide looked at me with pleading eyes, I decided to accompany her, and was really glad I did in the end. With permission of the teachers, I got to better understand how these little ones are getting a much fairer shot at a very good education, which will hopefully take them over to high school. Many Raramuri girls marry from around age 15 already. I wrote this just after we visited the school, and a few families in various parts of the neighbouring territories. Watch me race, watch me play. I can swipe right, I can take a photograph. And you did. And we laughed. And you more. your shy teacher in the beige habit. plummet to the centre of the earth. cut clean in the Sierre Madre. Speak to her the words you’ve learned. Auntie Martha’s pots of food. Don’t think about them now. The baby needs new sandals. You have deft weaver’s hands, they know.